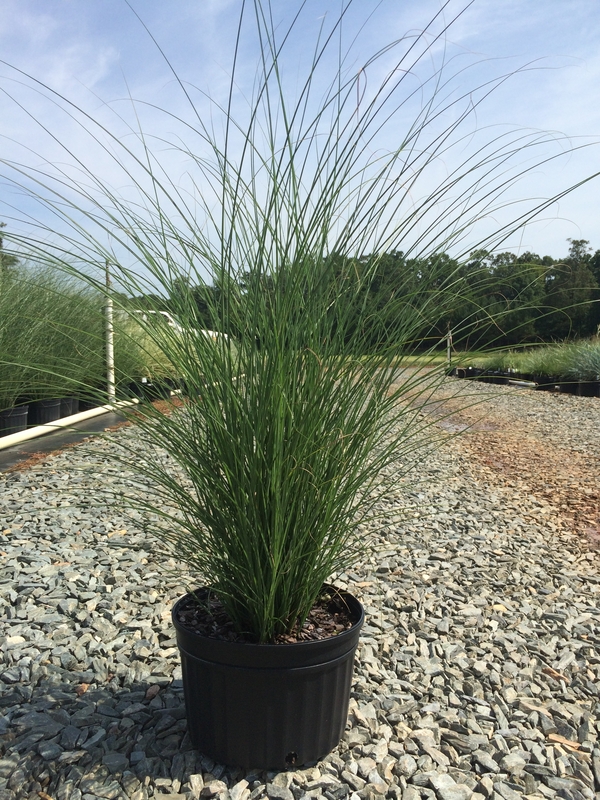 This is a large growing ornamental grass that reaches 6-8 feet in height and 3-5 feet in width. Thin bladed leaves have silver veining and turn golden auburn in the fall. Reddish-colored plumes stand above the foliage late summer into fall and turn a silvery white color when mature. Prefers full sun.